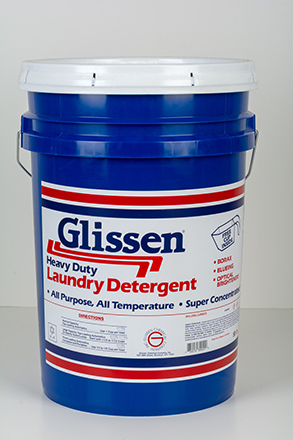 The finest quality, all temperature laundry detergent made for all water localities. Eliminates the gray look prevalent in hard water areas. Contains blueing for greater whiteness and a unique soil suspension additive to prevent redepositing, with a special West Indies Lemon Scent! 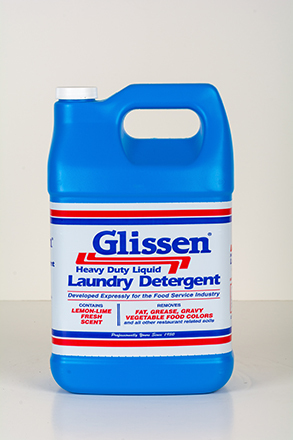 For those who prefer a liquid laundry detergent, Glissen has the finest quality obtainable for today's market. 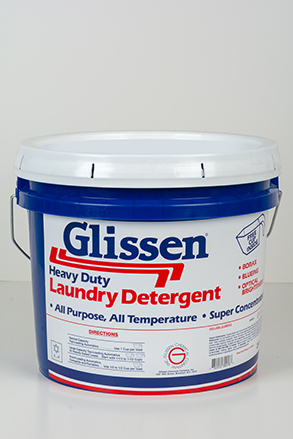 Loaded with pure detergents (no fillers), water softeners, optical brightness and Glissen's 100% satisfaction guaranteed. Glissen's excellence in quality and proper balance of raw materials contributes to the finest of products and results in a satisfied customer.